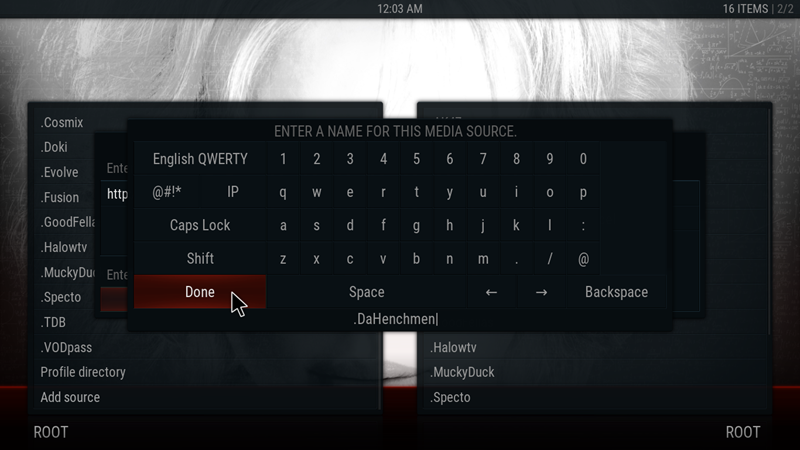 The Henchmen (Da Henchmen), a very interesting All-in-one add-on for Kodi, updated recently to v1.2.7. 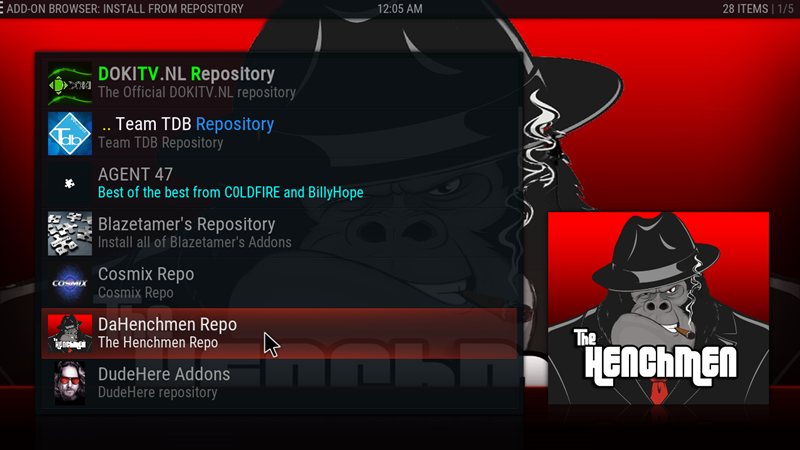 The collection has almost everything you can find in Kodi, with sections for Movies, TV Series, Music, Documentaries, Sports, even a Poker Section. In addition you will find a very useful Maintenance section to keep your Kodi fast and clean. The Developers give credits to TDB Wizard Team and Evolve Team for their help in the project. Follow the Installation Guide or watch our Video guide Here. You can find all our Video Guides in our YouTube Channel Here. All our Guides are presented in our Aeon Nox based Build called Simplicity but you will find no problem to follow the instructions in any Skin or Build you may use. If this is your first Visit in our site please find some time to Read our Disclaimer page before you proceed. 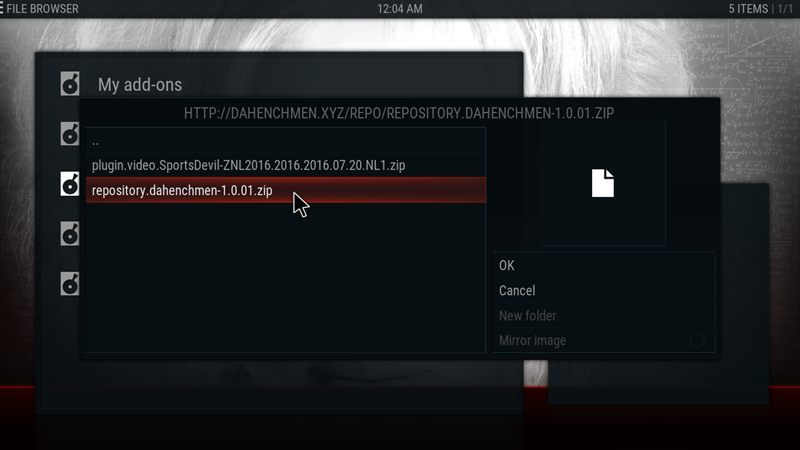 First we need to install the DaHenchmen Repository. • You should be able to see .DaHenhmen added to your media sources. If you receive a message that your system cannot connect to the media source check again the url you typed for the repository and make sure it is correct. If that is correct check your internet connection. If nothing of the above is the problem then there is a chance that the media source is temporary down and you may need to continue the installation when the url is active. • The installation of the repository may take some time. When it is completed you will see a massage that the add-on is enabled. Depending on the Skin or Build you use the message can appear in a different location on your screen. • The installation may take some time. When it is finished you will see a message Add-on enabled. Depending on the Skin or Build you use the message may appear in a different location. 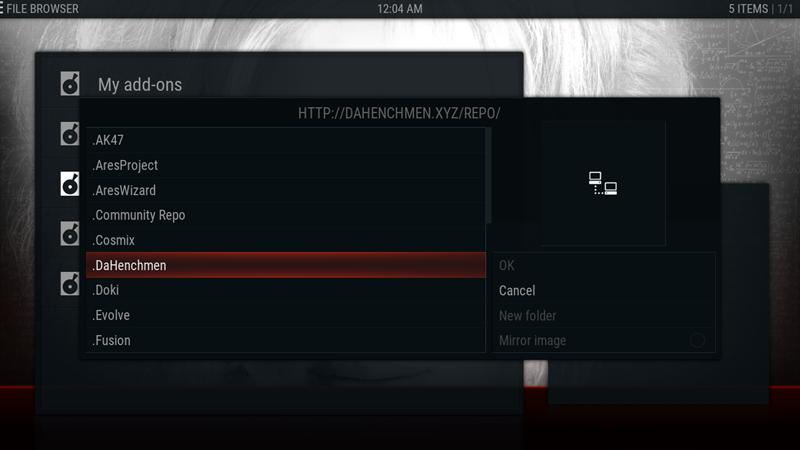 You will also see the indication Enabled next to the add-on. That should appear in all the add-ons installed in your system. 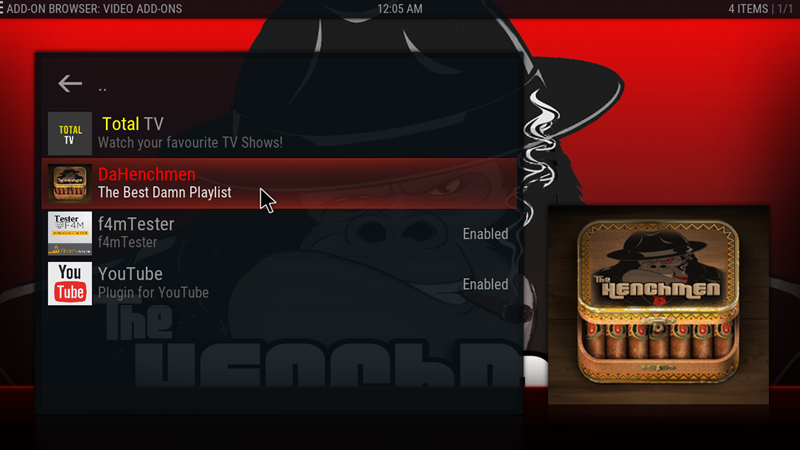 TheHenchmen is now installed in your system and you can find it in your Video add-ons. Since this is a 3d party add-on it is not supported by the official Kodi developers, Site or Forums. 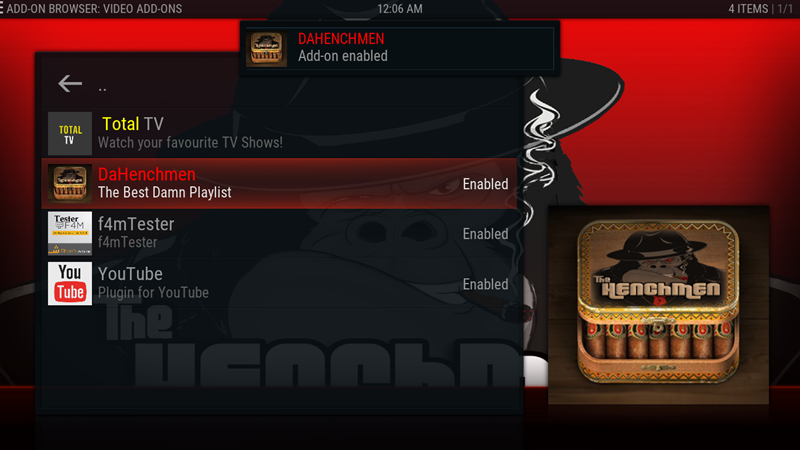 For more information about the add-on you can follow The Henchmen (Da Henchmen) Team in Twitter here.